It’s National Cherries Jubilee Day…and it’s also National Breakfast Month. 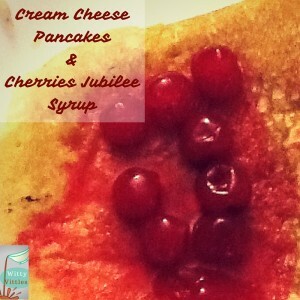 I thought it would be fun to combine the two in a cherries jubilee pancake recipe. So, when I ran across this one, I had to try it out and share. This is a little more difficult to make than the usual old-fashioned pancake recipe I love, but it is so worth it. The next time you have brunch guests, you might want to give this a try to truly impress them! 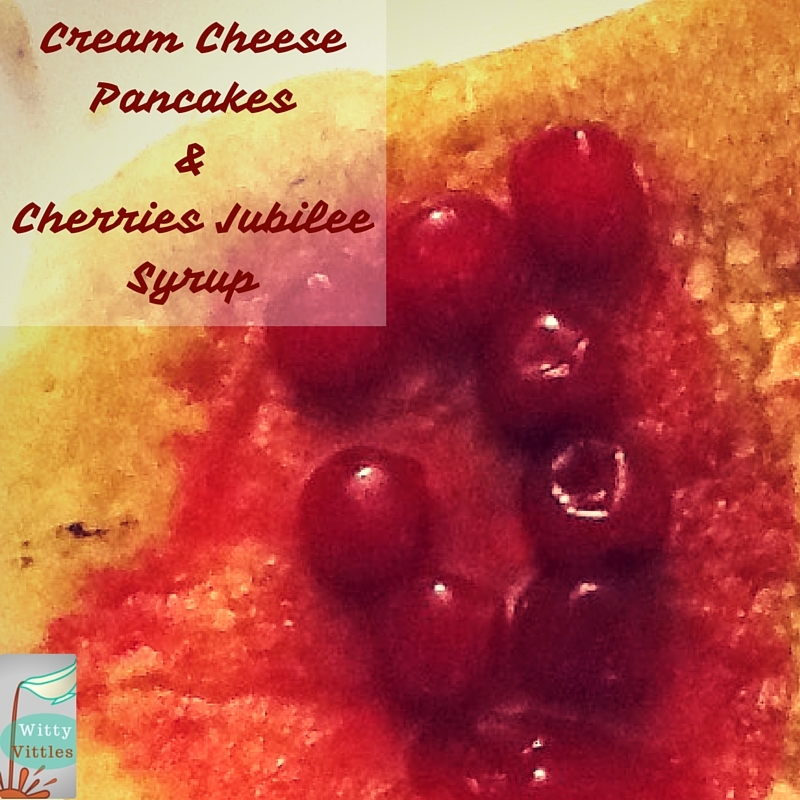 An awesome variation on two old favorites – pancakes and cherries jubilee. Spray a nonstick skillet with cooking spray. In a large mixing bowl, combine the flour, sugar, baking powder, baking soda, salt, eggs, milk, vinegar, cream cheese, butter, orange juice, and vanilla. Stir vigorously for two to three minutes until pancake batter is well mixed. There may be lumps. Spoon out into heated skillet and cook over medium high heat for about 30-60 seconds per side. Transfer cooked pancake to a serving plate and top with the cherries jubilee syrup. To make the syrup: Heat the cherries and cherry juice, rum extract, lemon extract and water, sugar, and butter in a large saucepan over medium-high heat. Cook, stirring, for about 10-15 minutes, stirring frequently. Reduce heat and simmer for 5 more minutes. Spoon over the pancakes as soon as they are done. I love this recipe, and I really love the fact that I can enjoy the cherries jubilee taste without all the alcohol or the potential for fire. I’m kind of a klutz in the kitchen, so I’m sure trying to set anything on fire on purpose would go really badly. I’m glad to say, however, that this one was pure delight from start to finish…especially when it came time to eat the pancakes for our after-dinner treat. And there was plenty more batter left over for tomorrow’s breakfast. I can hardly wait!